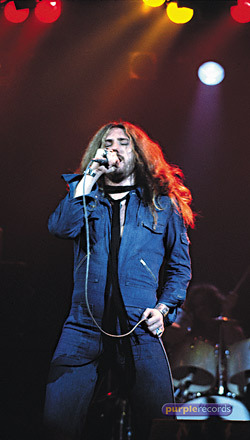 These pictures were taken at Long Beach Arena, California, on February 27th 1976, one of the last dates of Deep Purple Mk4's US tour. The show was first officially released on CD in 1995 as 'On The Wings Of A Russian Foxbat - Live In California'. 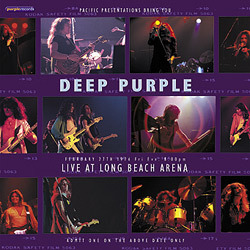 A remastered version is due for imminent relaease on Purple Records, 'Live At Long Beach 1976' (see left). 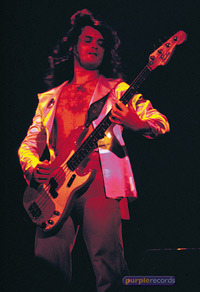 A limited edition version replicates the artwork of the original 1970s vinyl bootleg of the show. Click on the small images for more detail.